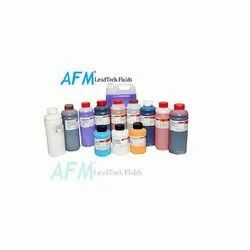 Pioneers in the industry, we offer Continuous Inkjet Printer Consumables such as Video Jet Printer Fluids,Domino Printer Fluids, WilletPrinter Fluids, ImagePrinter Fluids,and LinxPrinter Fluidsfrom India. 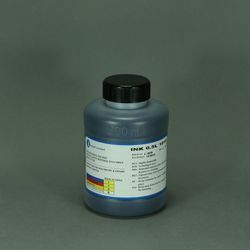 We are considered in the market to be one of the leading manufacturers and suppliers of this commendable range of CIJ Printer Ink. Right chemistry to suit your needs. Lower fluids consumption. 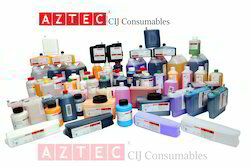 Consumables Include CIJ Fluids, CIJ Ink, CIJ Cartridges etc. Offered in the market at the most reasonable rate possible, the CIJ Consumables made available by us are known to be amongst the primary preferences in the market. Manufactured in compliance with the set industry norms and guidelines, utilizing the finest raw materials and modern machines, the product has its quality highly standardized. 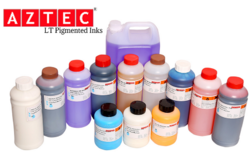 Being one of the leading manufacturers and suppliers of this commendable range of Linx Inks, we never compromise with its quality. Thus we engage in the utilization of high grade raw materials and modern machines, in compliance with the set industry norms and guidelines. Owing to this, the product’s effectiveness and shelf life is widely acclaimed. 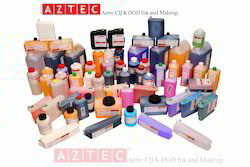 Looking for “Continuous Inkjet Printer Consumables”?